Relax in comfort with a bariatric wheelchair designed with strength and stability in mind. 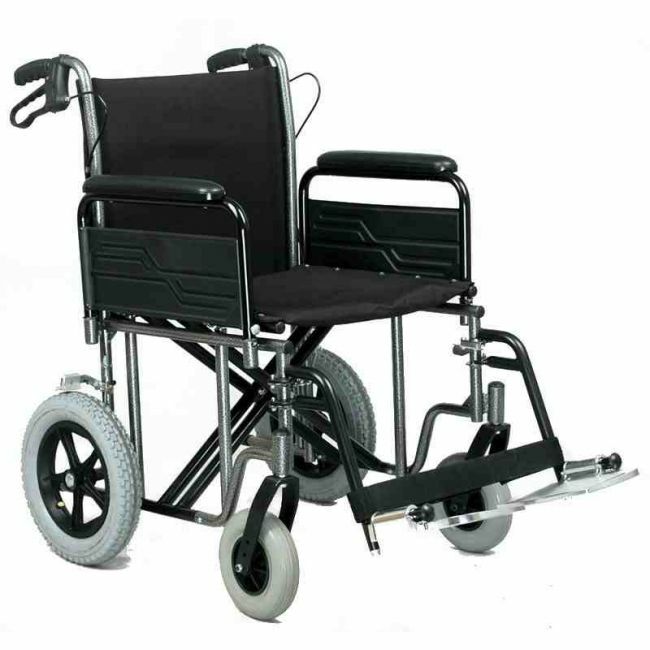 The Roma RMA 1485X is a heavy duty wheelchair with an extra wide 22 inch seat ideally suited to the larger user. Travel in confidence thanks to attendant handbrakes to slow down or park the wheelchair, and double cross braces to support users up to 32 stone.